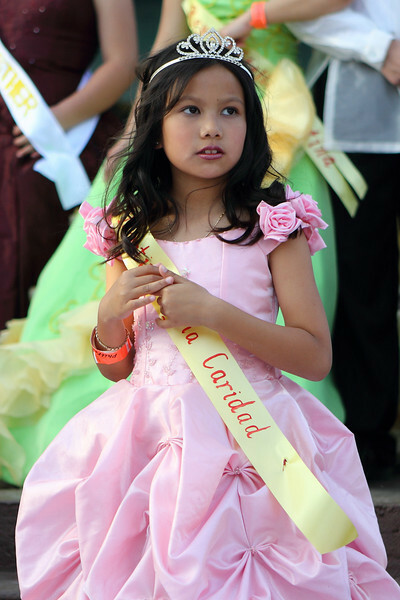 My daughter joined the PhilFest de Flores Parade along with many other "Munting Reyna's" in the 15th Annual PhilFest 2010. 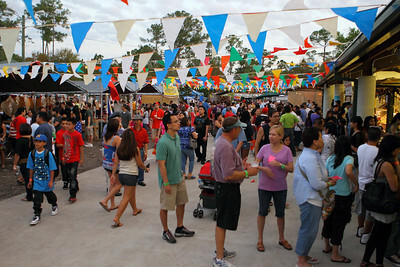 Fifteen years is a long time for the Bayanihan Arts and Events Center to host the festival like atmosphere of Filipino culture and traditions. I remember at least thirty years ago, the small booth representing the Philippines in the St. Petersburg Bayfront Center. My parents were active members of the Filipino American Club of Pinellas County and participated in SPIFFS every year. 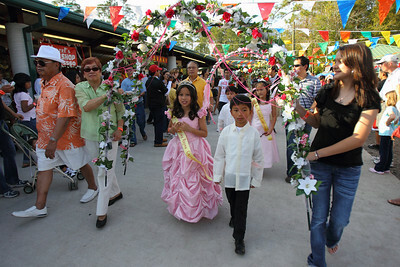 It was not long before the Filipinos of the Tampa Bay area had their own place to gather and celebrate ethnic traditions. First it was my niece, then my sister in laws and now it is my daughter parading around in her gown with her hair all done fancy. I am really not sure what my daughter thinks of all this fanfare. 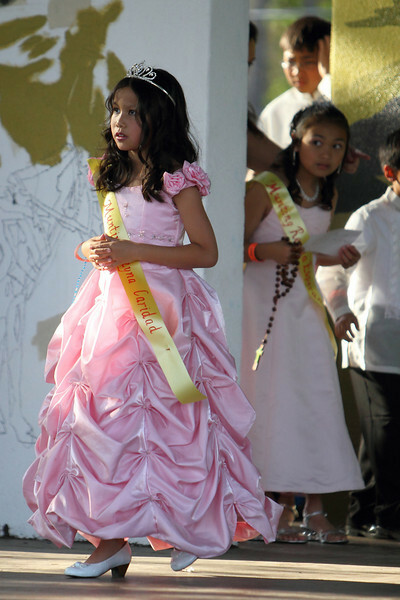 The "little peaceful queens" took turns displaying themselves to the crowd with their escorts by their side. I was positioning myself in an unobstructed vantage point to get the shots of the miniature royalty walking down the stage. 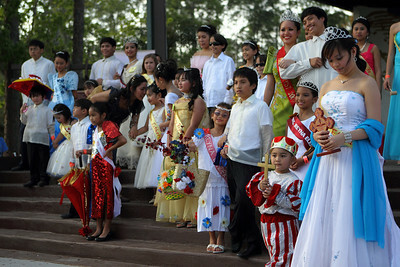 The "stage" portion of the event was followed by a parade around the festival grounds. With mobile arches in hand, proud parents and family members escorted their "queens" around the perimeter of the cultural center and eventually back to the stage. Now to the real issue at hand during the event was when do we eat? Lechon,pancit,lumpia shanghai,halo-halo and the ultimate carioca dessert only began the list of Filipino delicacies at the event. Besides the carioca, my daughter had her eyes set on the kid's arcade and gift shop. 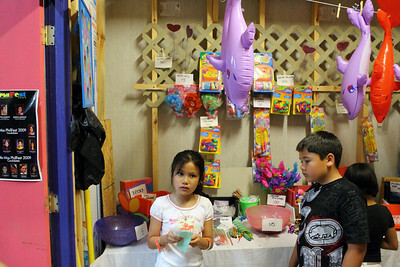 You know, the gift shop full of junk prizes you get in a Cracker Jack Box. It maybe worthless to me, but it is a treasure box of gold to my kids. To each his own. 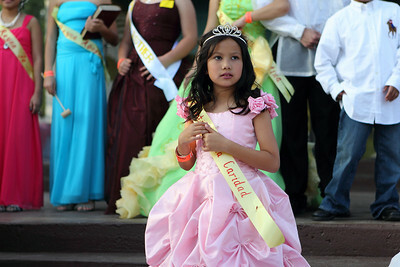 Hopefully by next year's PhilFest, my daughter will soon outgrow the "princess" phase of her life and move on to bigger things like American Idol! You can check out the rest of the pictures in the PhilFest 2010 Gallery.